Cider with elderflower and lime. Sweet, and rich fruit aroma. Strong elderflower aroma, and very pale lime green in colour. 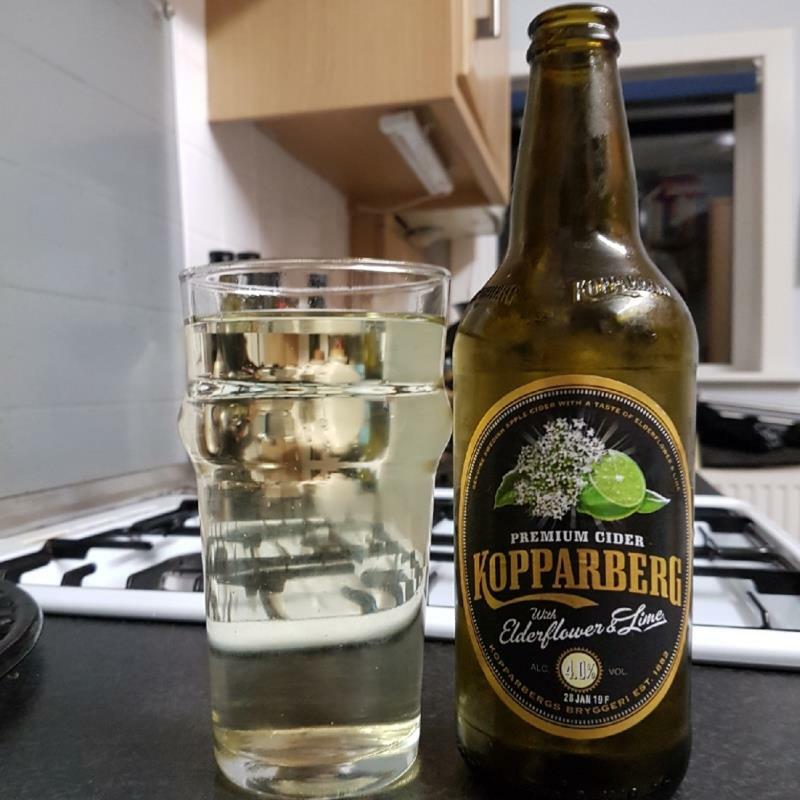 Elderflower dominates the flavour, with the lime becoming apparent in the aftertaste. Very refreshing, and would probably make a good summer drink, particularly at a BBQ.